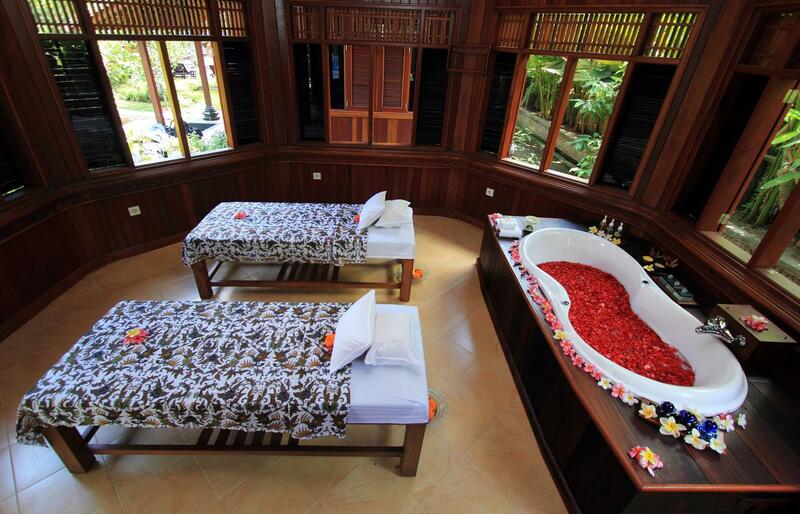 According to ancient Hindu writings “ Bhuwana has a meaning of earth and Ubud means medicine “. 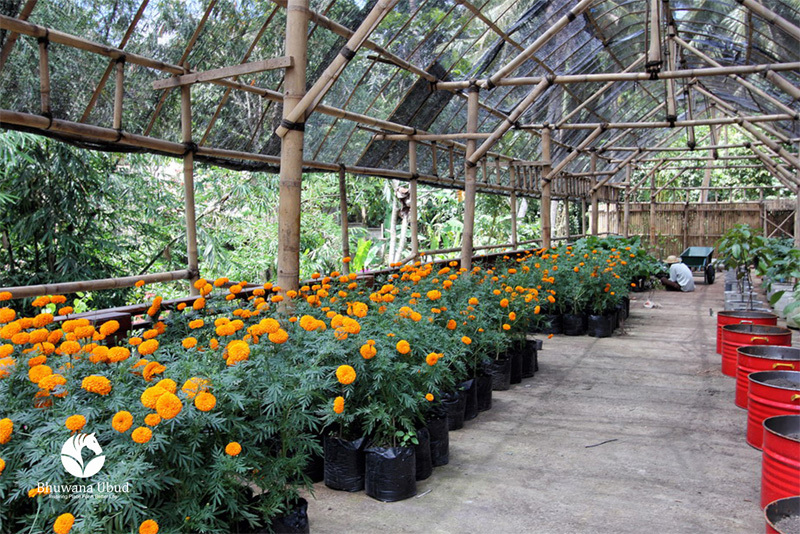 Bhuwana ubud can be defined as medicines that are provided by the earth. 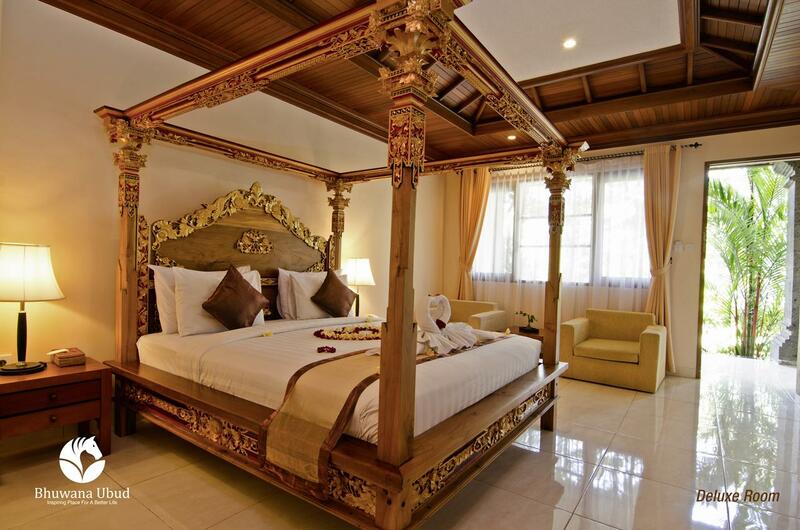 Located in the enchanting Pengosekan region of Ubud, the Bhuwana Ubud provides plush accommodation in 40 distinguished Deluxe Rooms, large space area of tropical garden and swimming pool while the landscape surrounded by green and golden rice field, palm trees and soothing sound of flowing waters. 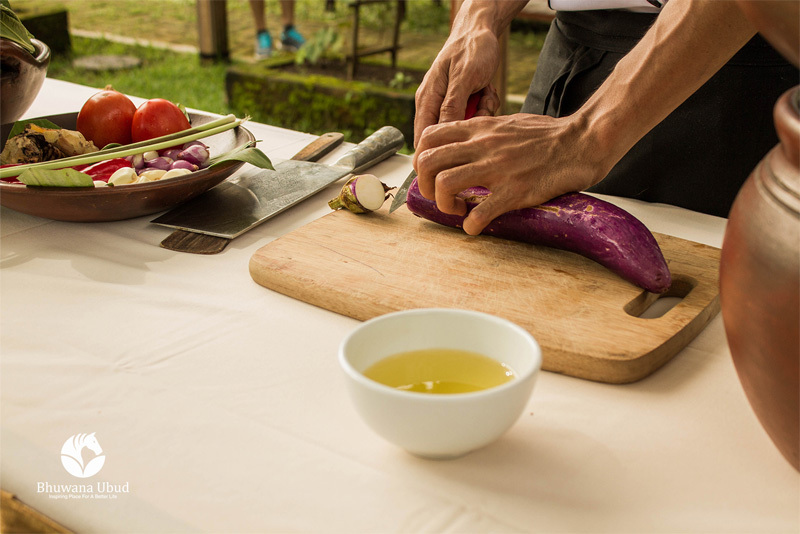 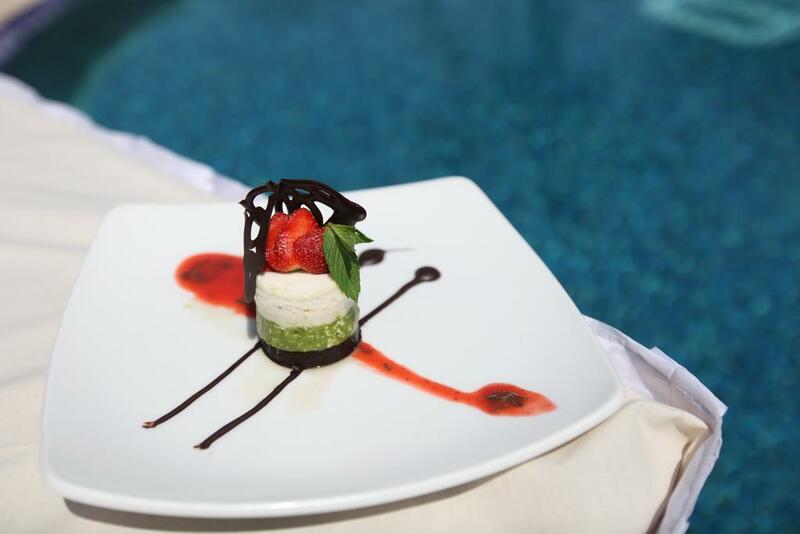 A complete healthy lifestyle hotel, organic garden and healthy restaurant, offer the guest the true healthy lifestyle inspired by local wisdom. 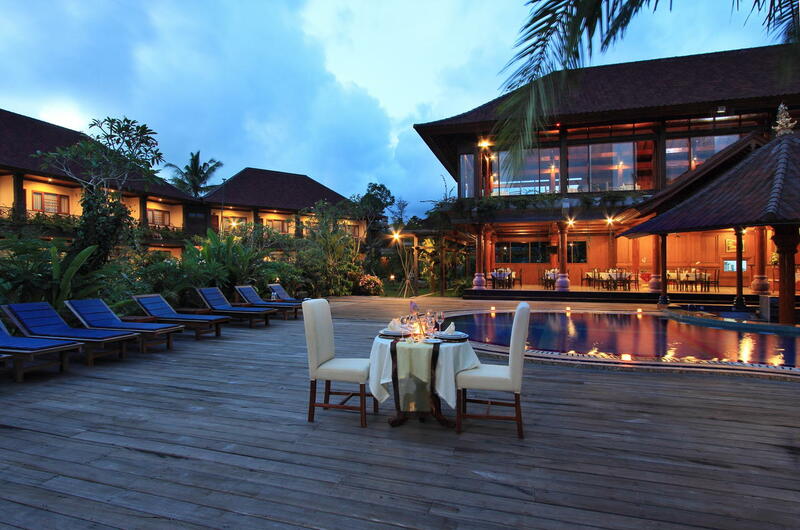 As a healthy lifestyle destination, Bhuwana Ubud maintain a peaceful atmosphere integrated with nature. 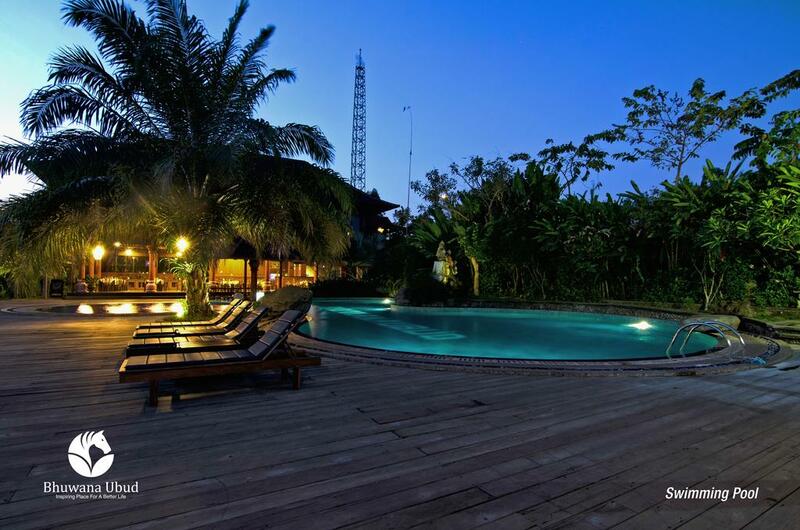 To this regard, we support a smoke-free & alcohol-free environment. 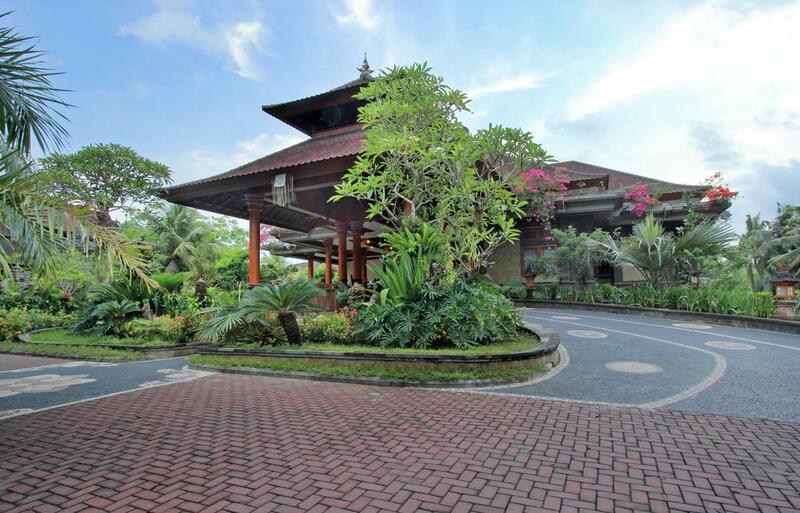 Bhuwana Ubud was re-branding with a vision to bring healthy lifestyle into your life. 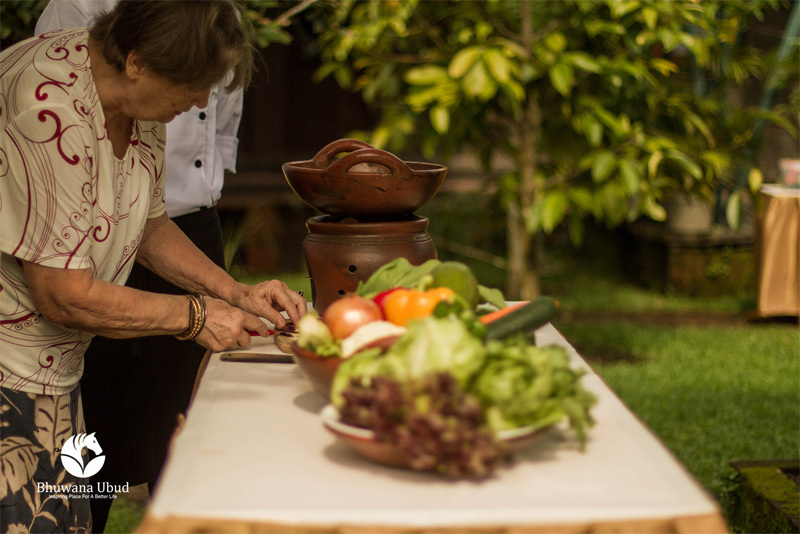 We offer a truly of healthy lifestyle programs, covering: Detox, Rejuvenated body and mind, Marriage Relationship, Nature Trekking, Healthy Cooking and Juicing Class. 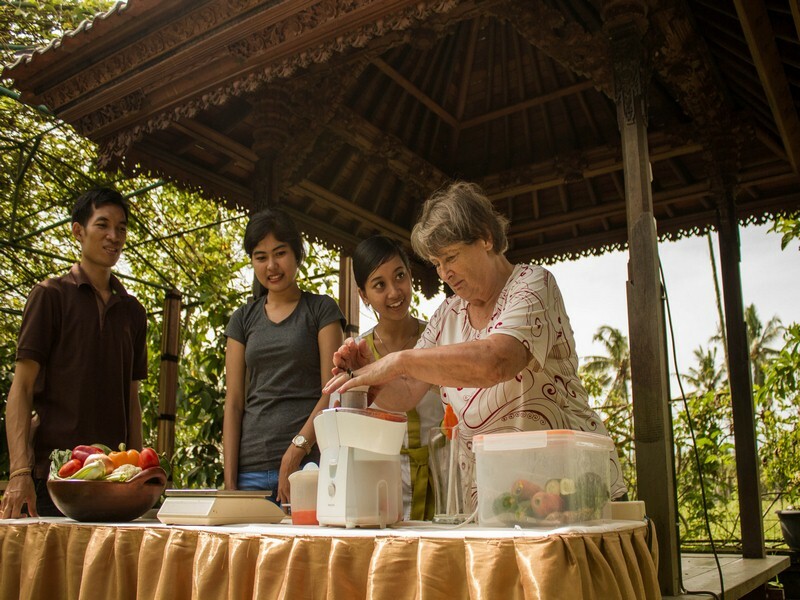 So when you’re looking for healthy lifestyle programs with a point of difference and bespoke service, be sure to book a program here at the Bhuwana Ubud – Inspiring Place For Better Life. 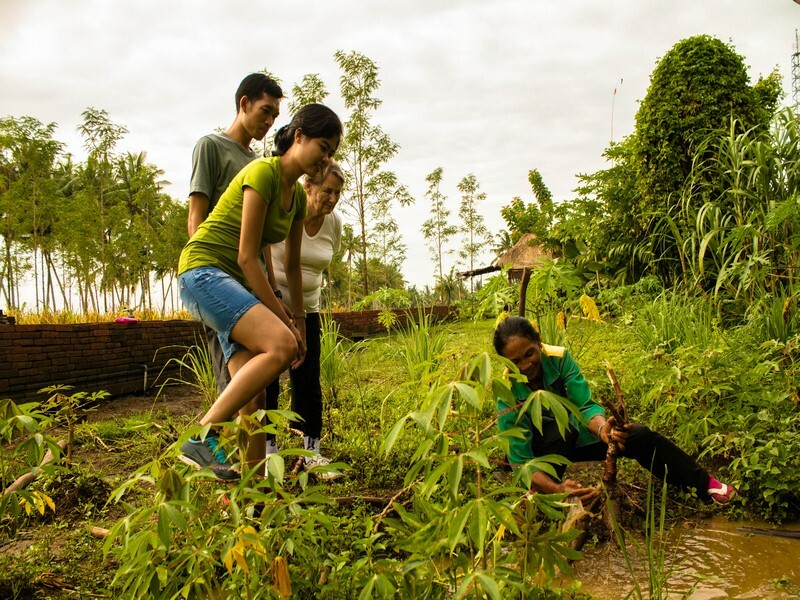 "Inspiring Place for a Better Life"
We have commitment to be hotel in Ubud which inspire people to have healthy relationship with nature. 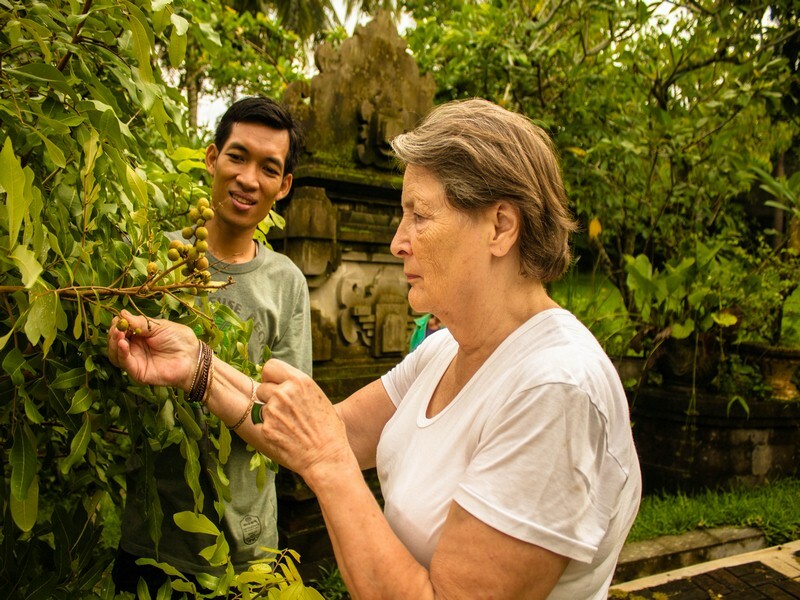 Holiday at Bhuwana Ubud with your family helps appreciate nature and surroundings in a way you have never before while providing you with deepened knowledge, relaxation and memories that you will continue to cherish forever. 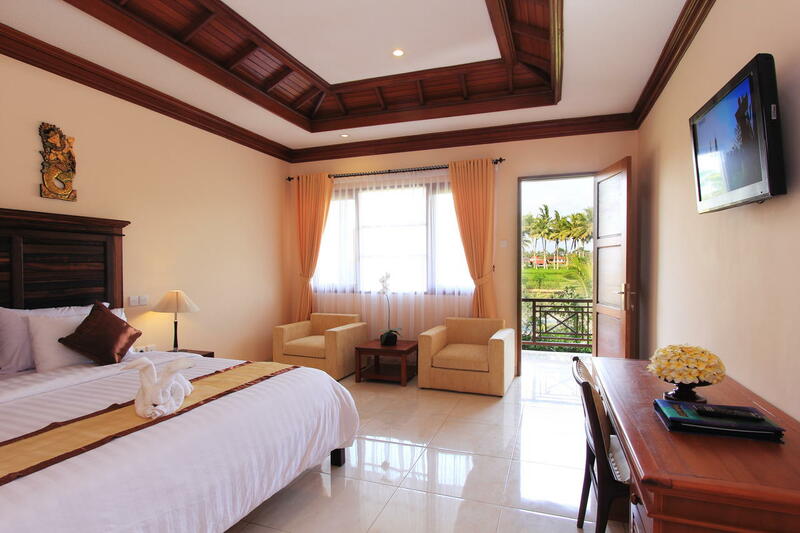 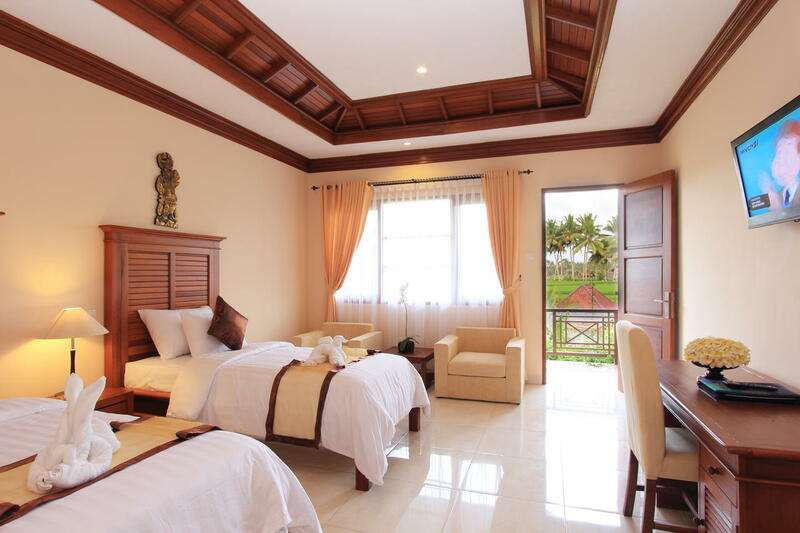 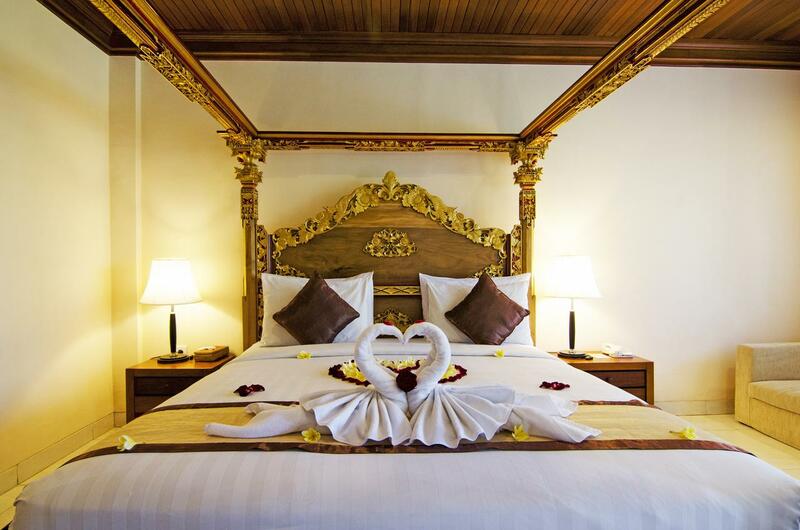 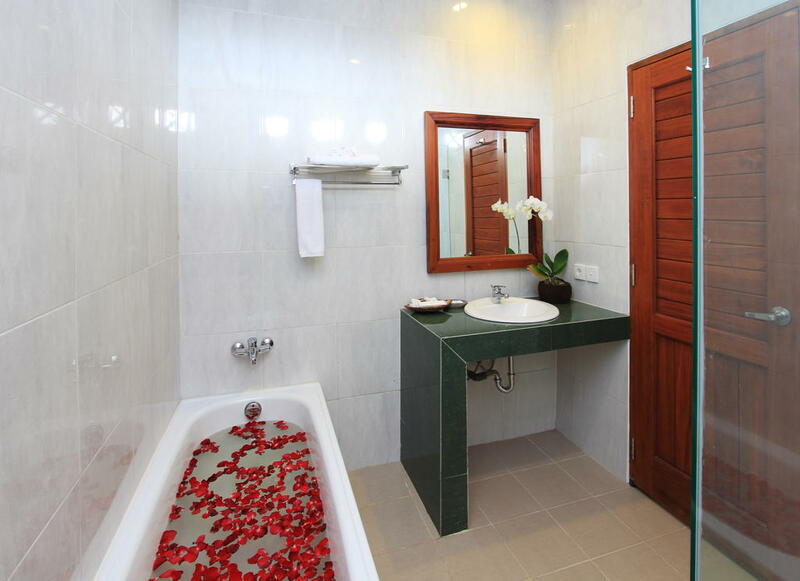 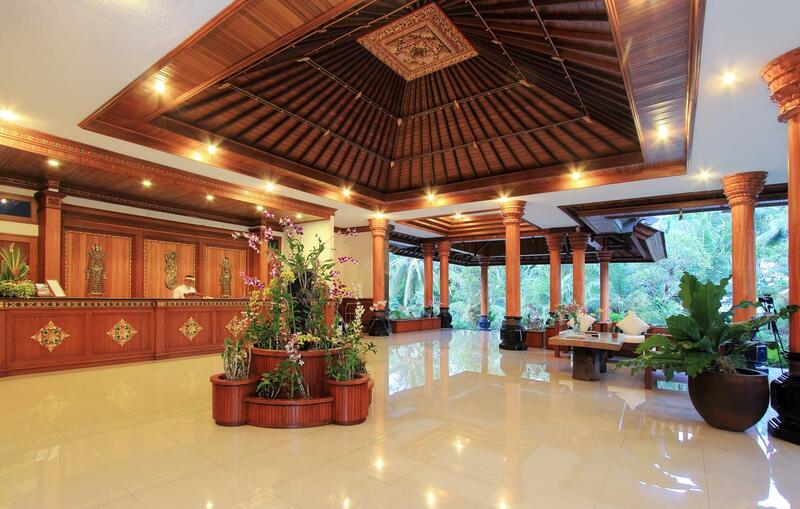 Bhuwana Ubud Hotel provides 40 Deluxe Rooms, Restaurant with healthy food and beverage, spa, yoga hall, and a swimming pool which are surrounded by tropical gardens. 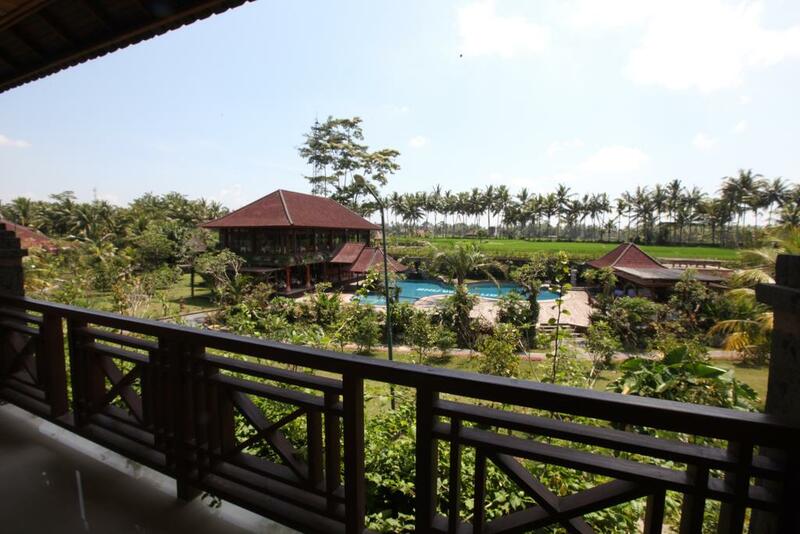 The green and golden rice fields, palm trees and soothing sound of flowing waters, make this location truly unforgettable. 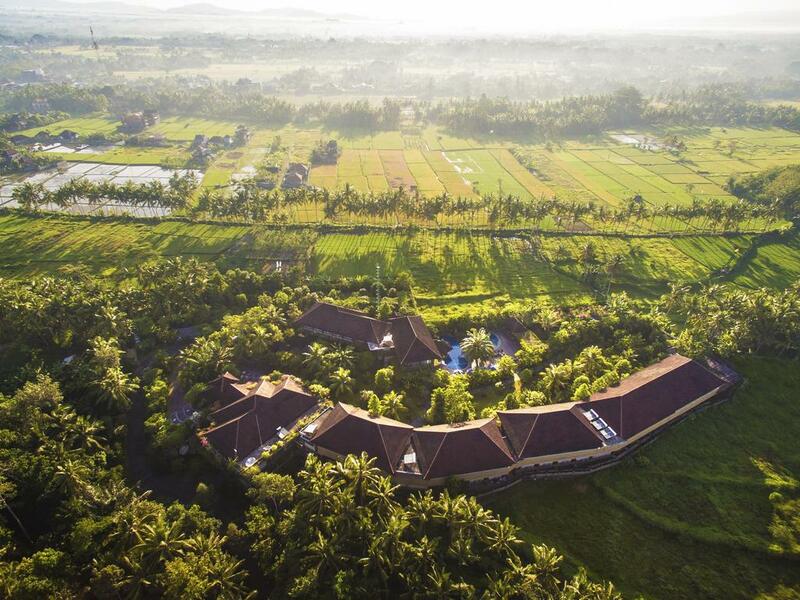 A wellness center, fresh vegetable, fruit and medicinal herb garden offers guests an opportunity to discover a lifestyle inspired by local wisdom. 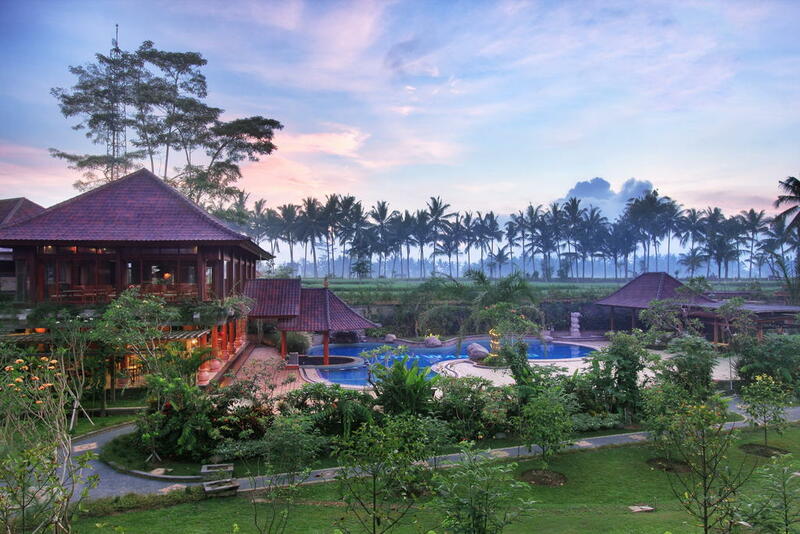 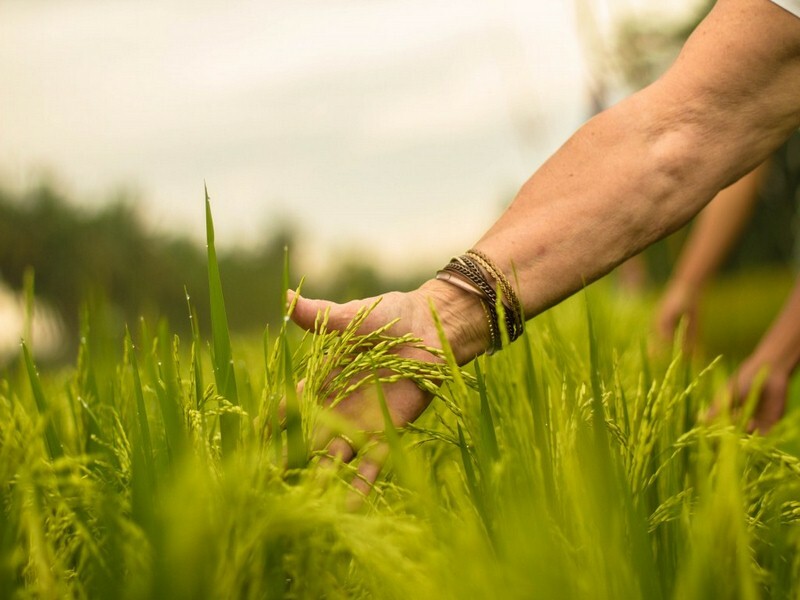 As a healthy lifestyle destination, Bhuwana Ubud maintains a peaceful atmosphere integrated with nature. 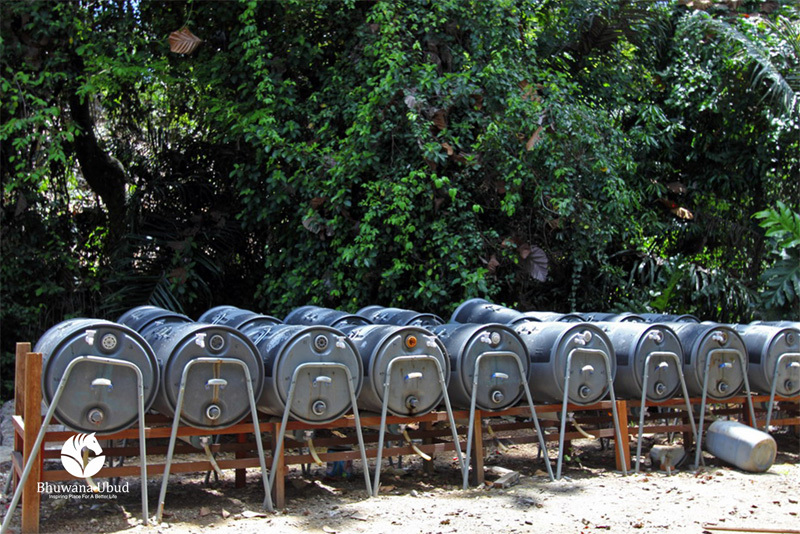 To this regard, we are proud to support a smoke & alcohol-free environment.